Archery happens to be one of the most popular sports in today’s times. As a matter of fact, the number of archery training schools has increased in the recent past. Now, these schools usually have certificate courses from time to time that can give you a crash course in archery. Once the course is completed, each student is usually handed over a certificate. If you run an archery training school and have a similar course, then you’re going to appreciate the certificate templates below. You can also see Certificate Template. 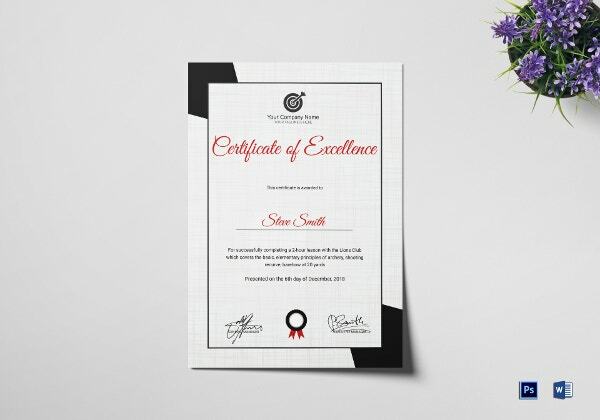 This archery training certificate template has to be the epitome of elegance with a neat, tidy format and a monochromatic color scheme. The combination of black and white certainly makes the template look sophisticated. The classic combination of red, white and black always looks fantastic on certificates. The template is 100 % editable. It comes in a word format that makes it possible for you to make changes. 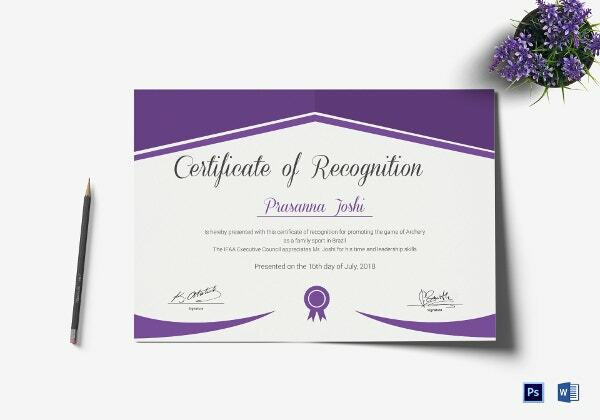 This certificate comes in a standard format and looks really sleek and stylish. The thick corners add a certain character to the template as well. The template consists of high-resolution graphics as well. 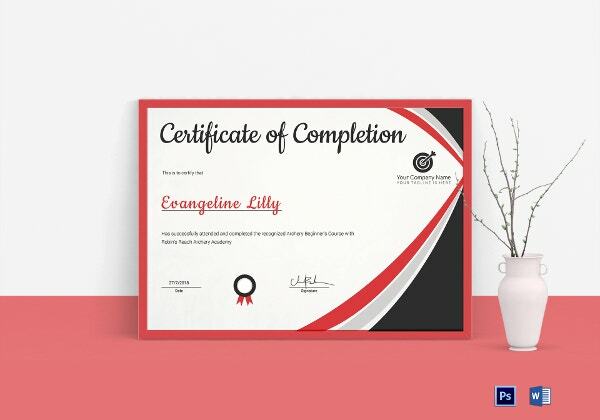 This archery training certificate keeps it simple and professional with an attractive color scheme. The template comes in CMYK color mode, customizable text, print-ready format and fairly high resolution. This archery training certificate has been kept bright and colorful. The vibrant color combination of white and purple adds to the charm. The template comes in a standard size and a print ready format. > Who can use Archery Certificates? Given the increasing popularity of archery as a sport, there are several people enthusiastic to try out short courses in archery. There are various schools and institutions that have both full time and part time courses in archery. On the completion of the course, the student is awarded a certificate that states that the student has taken a course in archery. 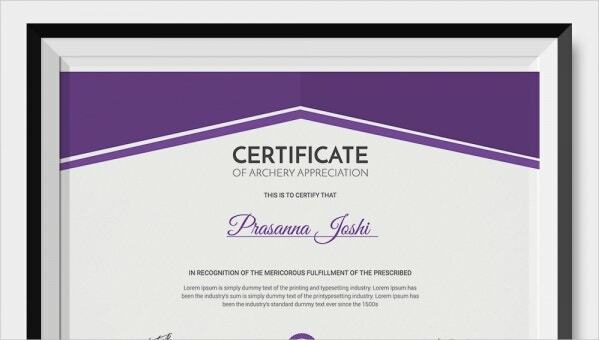 These archery certificates can then be used by the institutions offering such courses. Similarly, archery competitions are organized from time to time; archery experts who manage to win in the competition are usually handed over certificates of excellence at the end. > Why go for Archery Certificates? 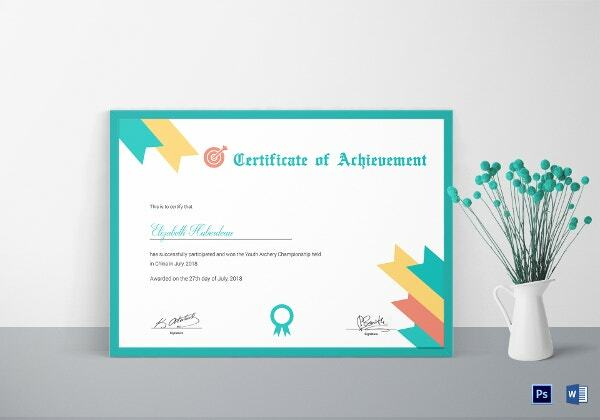 Irrespective of whether you own an archery training school or are in the management committee of archery competitions, you will need to hand over certificates on a mass scale. 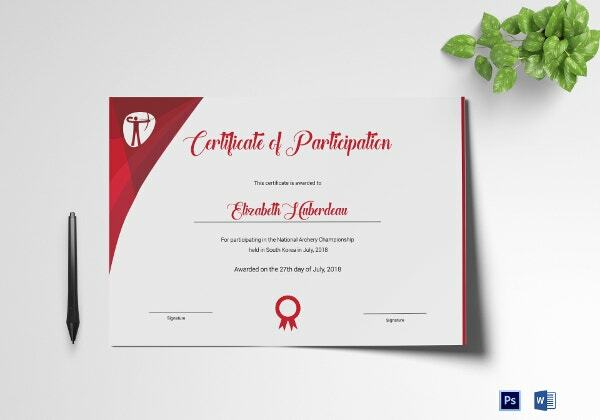 For instance, in competitions certificates are given to winners as well as other participants. In training schools, each student who completes a course would be given a certificate. When it comes to printing certificates on a mass scale, these certificate templates are your best option. They already have a format designed for you; plus, they are easy to customize, attractive and well designed as well. They come in print ready formats as well. You may also see Certificate of Running Template. Here, you have some of the best examples of archery training certificates. All the templates here are classy, sophisticated, well designed, neat, appealing and stylish. Plus, they are all 100 % editable and customizable as well. All you have to do is get your hands on the right certificate template!